One man is dead and another is in a trauma unit following a motorcycle crash in east Brampton Monday. 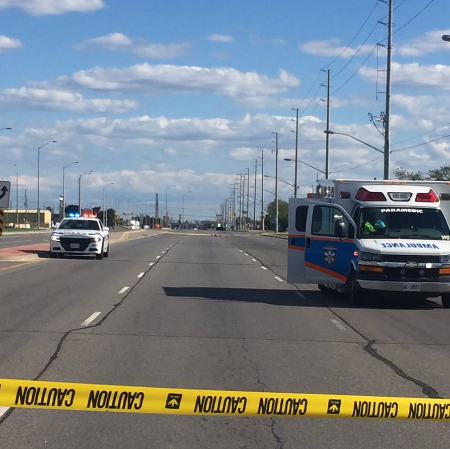 “The motorcyclist was pronounced deceased on scene,” said Peel Regional Police Const. Harinder Sohi. Emergency crews were sent to Hwy. 50 and Ebenezer Rd. at 3:59 p.m.
That’s near Hwy. 407 and Hwy. 427. A man driving a dark blue Chevy Impala was treated by paramedics and transported to hospital with serious injuries. There are no updates on his condition, said Sohi. The major collision bureau is investigating and roads are expected to be closed for hours.